Due to Technical Error... One Time Extension!! Who Else Wants To Learn The ULTIMATE Secrets To Master the Law of Attraction... Only Found On This Site? The power of transmitting energy and setting intentions! Importance of beliefs and 'allowing'! Universal abundance and self-regulation to increase effectiveness of vibrational energy! How to shift energy to become positive-creative! How to create a state of deliberate happiness! 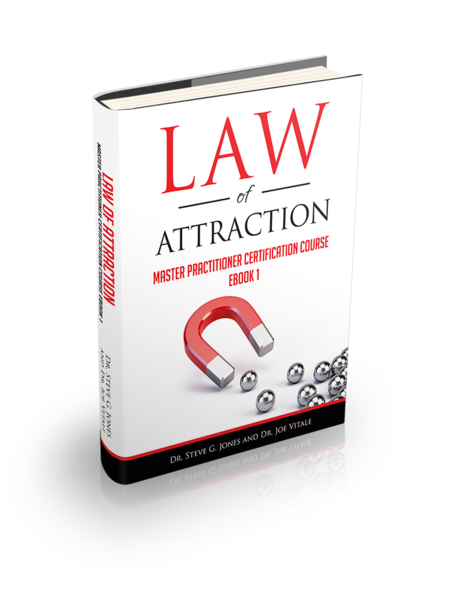 Your Online Resource for Law of Attraction MASTER Practitioner Certification! Don't be mislead by other programs that make similar claims but don't have the expertise of the teachers we have. We present you with only the most relevant and up to date information on Master Law of Attraction techniques to ensure no time is wasted in getting you certified to practice safely, successfully and professionally. 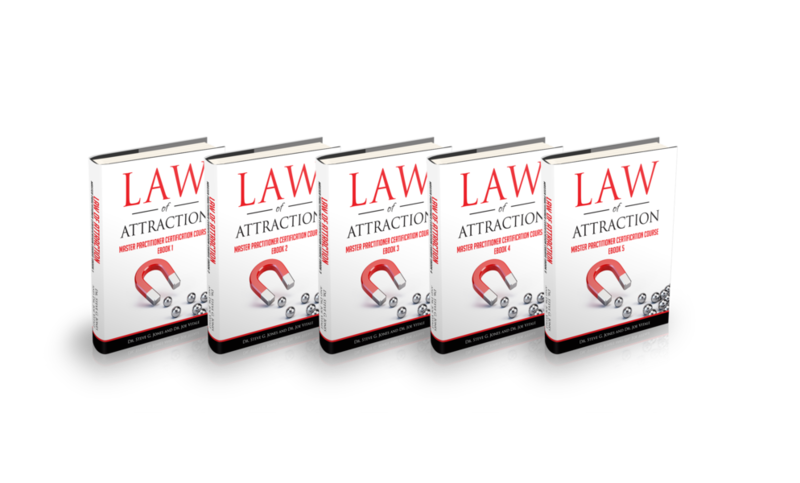 This course is for anyone looking to become a LAW OF ATTRACTION MASTER PRACTITIONER, to the level at which you can teach it to others and have them effectively attract everything they desire. Even if you are a beginner with no prior success with harnessing the Law of Attraction or perhaps are not interested in using the material to teach others, you should still take this course. You will learn everything you've ever wanted to know about Advanced Law of Attraction techniques and how to harness its power to completely transform your life and the lives of others. In the professional arena, this course will take you to the MASTER level and position yourself to have people pay you for your knowledge and expertise. Q: Will I need any other training in order to practice Law of Attraction Master Practitioner techniques, besides your course? Q: Will I be properly trained if all I take is your online Law of Attraction Master Practitioner Certification program? A: Ideally a Law Of Attraction Master Practitioner would be trained in a classroom setting with an instructor physically present. Unfortunately, this luxury is not practical for many people. When we factor in airfare, hotel, time away from work and family, etc. the costs both monetary and otherwise quickly add up. For this reason, many institutions have turned to online training as a viable alternative to meeting modern day needs. In fact, Columbia, Harvard, and Cornell have extensive online programs. Also, Penn, Dartmouth, and Yale offer online classes. Dr. Steve G. Jones, while working on his doctorate in education, extensively studied the online programs offered by Ivy League schools. He then was able to take what he learned from the curriculum and combine it with Dr. Joe Vitale's adept knowledge on the Law of Attraction to create the Law of Attraction Master Practitioner Certification Course that offers a master level of training. Additionally, in this course, you are encouraged to find a study partner and to practice your techniques on a number of people. Q: What about licensing requirements for Law of Attraction Master Practitioners. Are there any? A: At this time, to the best of our knowledge, there are no licensing requirements For Law of Attraction Master Practitioners anywhere in the World. However, if you start a business, you will generally need a business license. A: A Law of Attraction Master Practitioner qualified by our standards to teach and practice the mechanics at the Master Law of Attraction level. 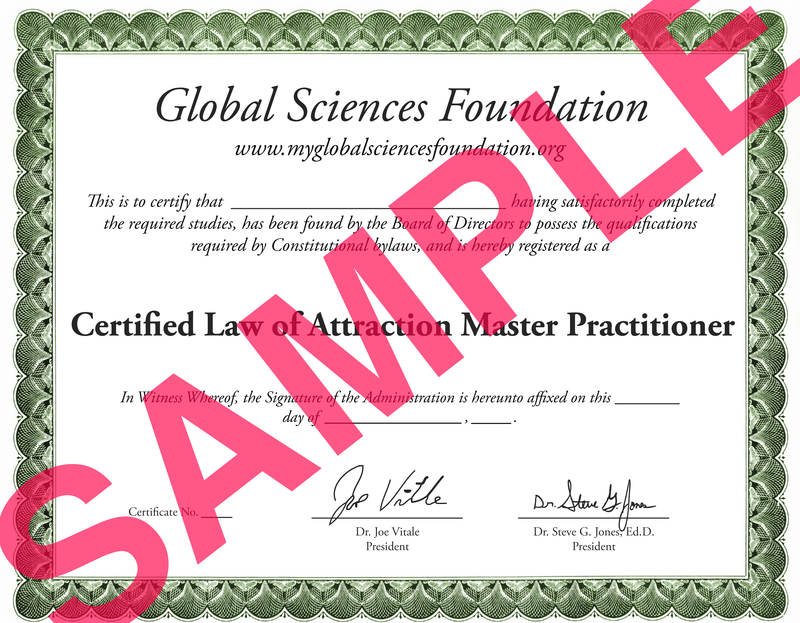 Q: What do I get when I buy the Law of Attraction Master Practitioner Certification Course? A: You get instant access to all 5 training manuals (approximately 35 pages each) and a Marketing Guide eBook to help you set up your practice. A: You must pass the multiple-choice test on the database with a score of 75% or better. If you fail you have a max of 3 times to pass. If you don't pass by the third attempt, you will not be able to take the exam again for 2 months. Once you pass the multiple-choice exam, you will then submit an essay for Dr. Steve to review. Q: How long does it take to get my certificate? A: Please allow one week for Dr. Steve to review your essay. You will then be notified by email whether your essay was satisfactory (you will receive the certificate) or unsatisfactory (you will have to take the exam again and re-write your essay). As soon as you pass the essay, you will be automatically added to the Global Sciences Foundation directory. A: Upon completion of this program, you will receive a beautiful certificate sent via email, which you can print out and proudly display for your clients to see. It will have your name, title (Certified Law of Attraction Master Practitioner), and your certification number. Q: What are Dr. Joe Vitale and Dr. Steve G. Jones's qualifications as instructors? A: Dr. Vitale has not only personally used the power of the Law of Attraction to go from being homeless to having everything he's ever desired, he was also chosen to appear in feature films such as "The Secret" and national television shows such as The Big Idea with Donny Deutsch and Larry King Live. Additionally Dr. Vitale has authored several best selling books on this topic and remains one of the world's foremost experts on the Law of Attraction. Dr. Steve G. Jones has over 20 years experience as a certified clinical hypnotist, both teaching hypnosis students and working with clients. His list of former clients includes: Danny Bonaduce, Jeraldine Saunders (creator of the Love Boat TV series), Tom Mankiewicz (writer of Superman the movie), and many other celebrities. Steve has served on the board of directors of the American Lung Association in Los Angeles, California. He is a member of the National Guild of Hypnotists, National Board of Certified Clinical Hypnotists, founder of the American Alliance of Hypnotists, member of the International Registry of Clinical Hypnotists, has presented his hypnosis research at the American Council of Hypnotists Examiners, received the President's appreciation award for his outstanding contributions to the American Association for Adult and Continuing Education, is a member of the American Board of Hypnosis, member of Who's Who among Students in American Universities and Colleges, member of Pi Lambda Theta International Honor Society and Professional Association in Education, member of Omicron Delta Kappa Honor Society, member of the Golden Key Honor Society, recipient of the National Leadership Award from the United States National Congressional Committee, received a bachelor's degree in psychology from the University of Florida, received a master's degree in education from Armstrong Atlantic and State University, received the educational specialist degree from Georgia Southern University, and is currently a doctoral candidate in education at Georgia Southern University. Steve has recently been featured on TruTV, CNN, and is under a development contract for his new television series on hypnosis. Q: Do I need an advanced degree to practice the Law of Attraction, such as a bachelor's degree or a master's degree? A: Yes. You will be listed on the international online list of Law of Attraction Master Practitioners. Q: I am a layman with no Law of Attraction background. Will this program actually take me from the ground floor up and teach me everything I need to become a Law of Attraction Master Practitioner? A: Yes. This program is extremely thorough and it will teach you everything you need to know to be a certified Law of Attraction Master Practitioner and help you run your own practice. A: This home based course, is designed to be a resource for you for the rest of your life, to teach you Master-level Law of Attraction techniques and how to effectively use it to your advantage. Introduces the law of attraction to beginners. Establishes the main framework of attraction via vibrational energy, transmitting energy and setting intentions and setting an intention as prelude to receiving abundance. Continues the discussion on proper intention-setting and importance of beliefs. Explores the shifting of beliefs from negative to positive. Introduces the concept of "allowing," which counters unavoidable negativity in the world. Introduces the concept of universal abundance and self-regulation to increase effectiveness of vibrational energy. Teaches harnessing of emotions (positive) and limiting of negative emotional states. Explores the main ways that positive power is prevented. Discusses ways on how to shift one's energy from non-constructive to positive-creative. Dissects the role of moods in conscious creation. Introduces deliberate happiness, or how to create a state of perpetual positivity. Explains why upheavals or unplanned events happen in daily life. Dr. Steve G. Jones, Ed.D. is a Master at the Law of Attraction and has over 20 years experience as a certified clinical hypnotist, both teaching hypnosis students and working with clients. 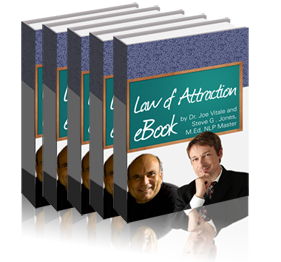 Dr. Joe Vitale is the author of the international #1 best-seller, The Attractor Factor, among numerous other works. Dr. Vitale is also one of the stars of the hit movie The Secret. As part of the course (included in the total price of this course), you will receive 5 electronic manuals by Dr. Steve G. Jones, Ed.D., M.Ed, and Dr. Joe Vitale. After completing our courses, you will also have lifetime support from Dr. Steve G. Jones, Ed.D., Dr. Joe Vitale and the Global Sciences Foundation™.